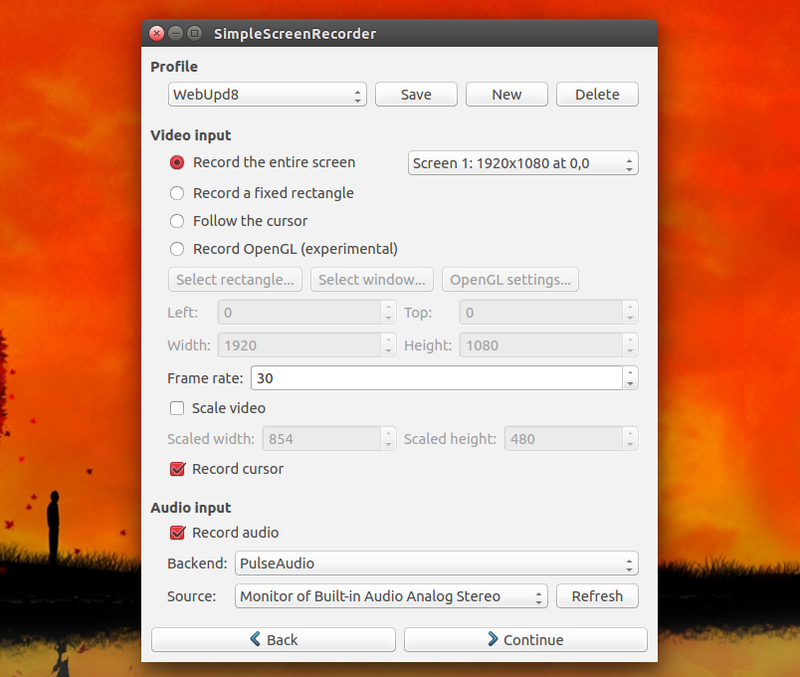 Simple Screen Recorder (SSR), a Qt desktop recorder for Linux, was updated to version 0.3.0 today, bringing profile support, a new, more flexible OpenGL recording system, native support for mono microphones and other interesting changes. The tool comes with basically all the features you need in a screencast app: record the entire screen (with multi-monitor support), record a fixed rectangle, follow the cursor, record OpenGL applications (which can be used to record games), record audio input (PulseAudio, JACK and ALSA), options to scale the video, to record (or not) the cursor, to pause/resume the recording and so on. It even has experimental live streaming support. Simple Screen Recorder can record your screen using any container (MP4, MKV, OGG, WebM and so on) and audio/video codec (H.264, VP8, Theora for videos and Vorbis, mp3, AAC, etc. for audio) supported by libav, with configurable bit rate, etc. For more screencasts created using Simple Screen Recorder, check out the latest videos from the WebUpd8 YouTube channel - I've been using Simple Screen Recorder to record the WebUpd8 screencasts for about a year now. 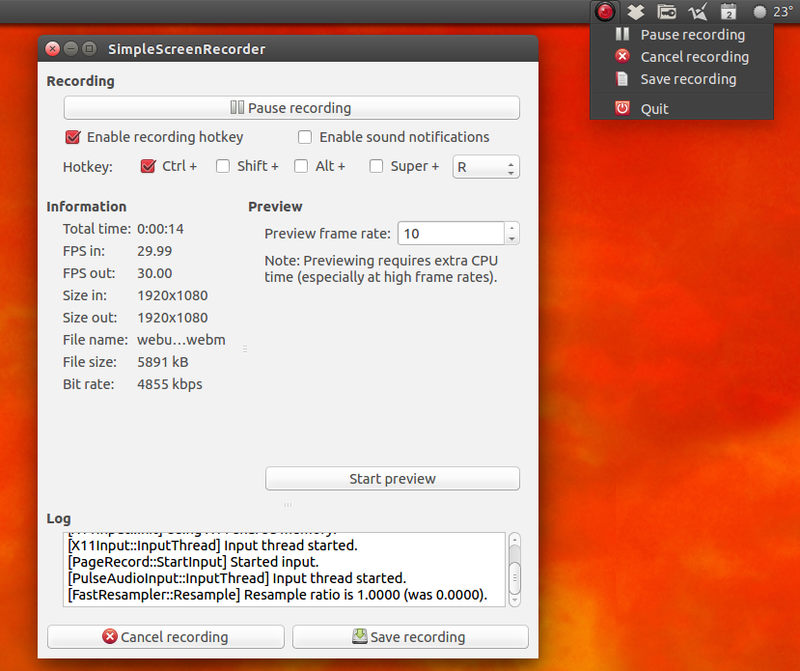 For other Linux distributions, see the instructions available on the Simple Screen Recorder homepage.